Built on the .NET Framework, PowerShell is a task-based command-line shell and scripting language; it is designed specifically for system administrators and power-users, to rapidly automate the administration of multiple operating systems (Linux, macOS, Unix, and Windows) and the processes related to the applications that run on those operating systems. PowerShell base source code is now available in GitHub and open to community contributions. Microsoft Dynamics NAV 2016 includes Windows PowerShell cmdlets for administration and for development and file management of application object files and extension packages. By the help of Powersheell tools we are able to create / modify the powershell scripts. 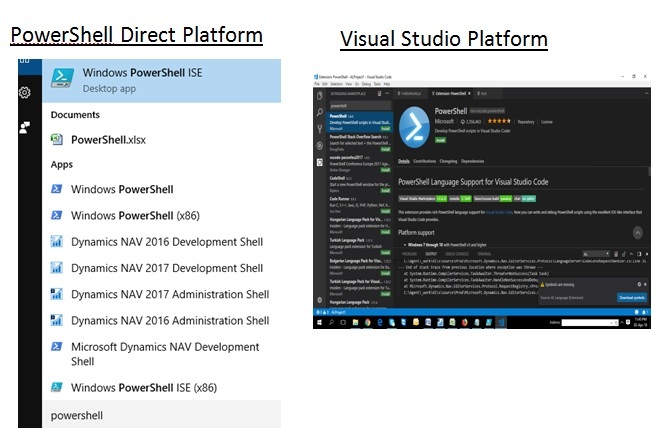 This can be done with various tools existing like Windows PowerShell ISE, NAV Administartor, NAV Developmentshell, Visual Studio Code etc. The cmdlets are implemented in Windows PowerShell 3.0, which is included with Windows Server 2012 and Windows 8 and later. Powersheel scripts are stored in ps1 extension. The sample Windows PowerShell scripts are available in WindowsPowerShellScripts folder on the Microsoft Dynamics NAV product media. How to use Windows PowerShell ISE ? 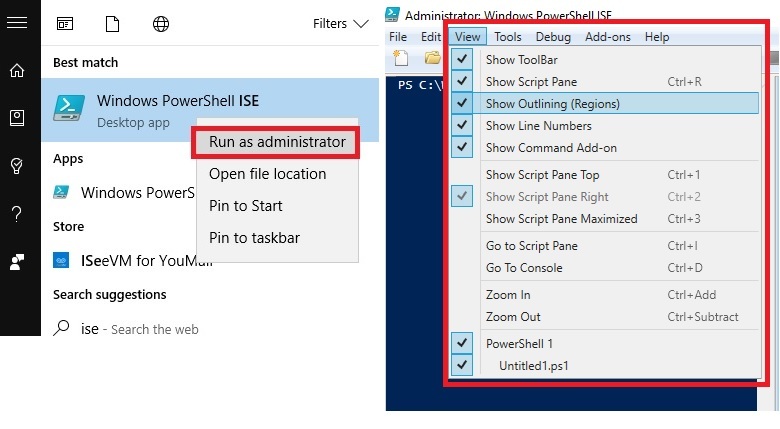 Make sure that you have opening the Windows Power Shell in “Run as Administrator” option to get better result. Once you open the Windows power shell need make sure right side like windows selected on Windows Power Shell on View menu (This is to make sure all the necessary windows are enabled for view and better understanding only). Once you complete this first step is over. For entering the command you have paste the given the command on white space available on the above screen. Once you enter the command just press F5 to execute or as mentioned in the image click on to the green symbol with right arrow. Note above Query is for the Dynamics NAV 2017 version. If you want to perform the same for other versions the please copy corresponding version queries. Once you execute the command system will automatically import all the necessary commands details for corresponding NAV version. So its important to import the same version module to achieve the desired the results. Refresh commands is the 3rd step. For doing this you have to press Refresh on right side Commands column available on the Windows Power Shell screen. Once you refreshed system will populate the Dynamics NAV commands for the imported version. Get-NavServerUser – Returns information about all users created in the current Microsoft Dynamics NAV database. Get-NAVServerUserPermissionSet – Returns permission set information for Microsoft Dynamics NAV users. New-NAVServerUser – Creates a new Microsoft Dynamics NAV user. New-NAVServerUserPermissionSet – Assigns a permission set to a Microsoft Dynamics NAV user. Remove-NAVServerUser – Deletes a Microsoft Dynamics NAV user. 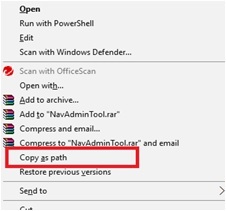 Remove-NAVServerUserPermissionSet – Removes a permission set from the list of permission sets that are assigned to a Microsoft Dynamics NAV user. Set-NAVServerUser – Changes the configuration settings of an existing Microsoft Dynamics NAV user.